How to Change the Oil on a Craftsman Lawnmower? It's important to change the oil in your Craftsman lawn mower regularly. 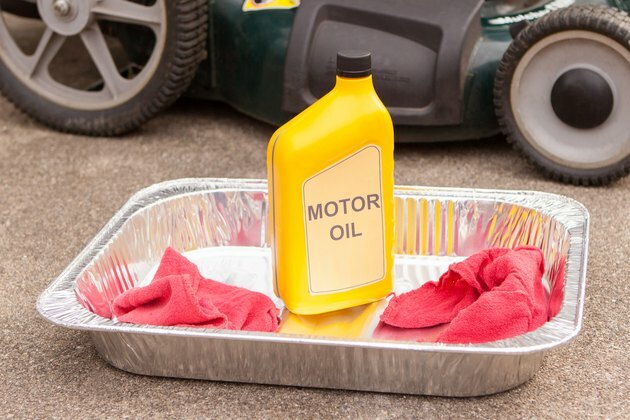 Old oil not only gets dirty, but the additives in the oil also break down over time. The oil in your Craftsman lawn mower should be changed after the first five hours of use and after every 50 hours of use, or at least once a year. Craftsman lawn mowers come equipped with a variety of engines made by Briggs & Stratton, Tecumseh and Honda. Some engines have a drain plug on the bottom under the mower deck; others lack a drain plug. 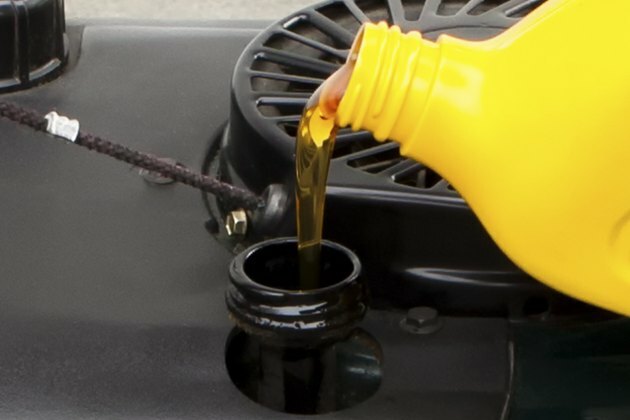 The oil change procedure varies, but the basics are the same. 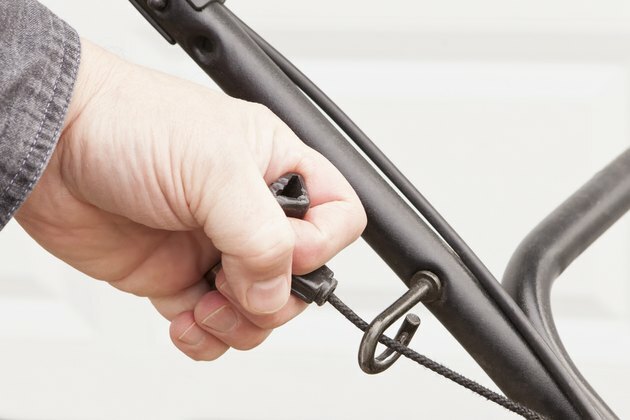 Clean the area around the drain plug (if equipped) and around the oil fill/dipstick hole. 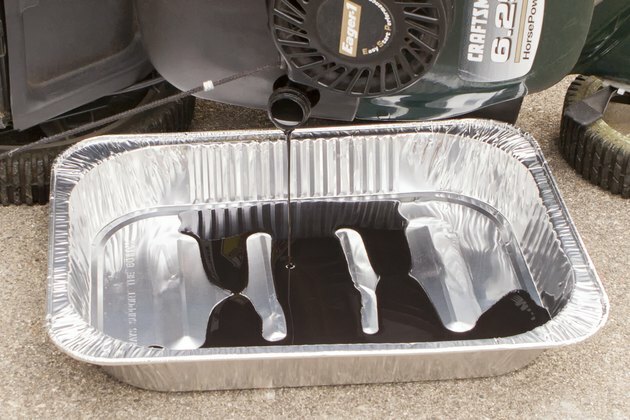 Run the engine for three or four minutes to warm the oil. Tilt the mower spark plug side up, and move the drain pan under the mower deck. 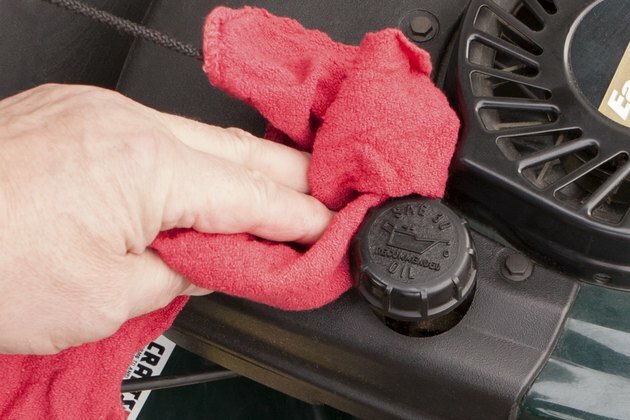 On Craftsman mowers without a drain plug, set the drain pan on the ground, near the mower's oil filler cap. Insert the 3/8-inch drive extension into the square socket on the drain plug, and, using the ratchet, remove the plug by turning it counterclockwise. On Craftsman models without a drain plug, unscrew the oil filler cap. 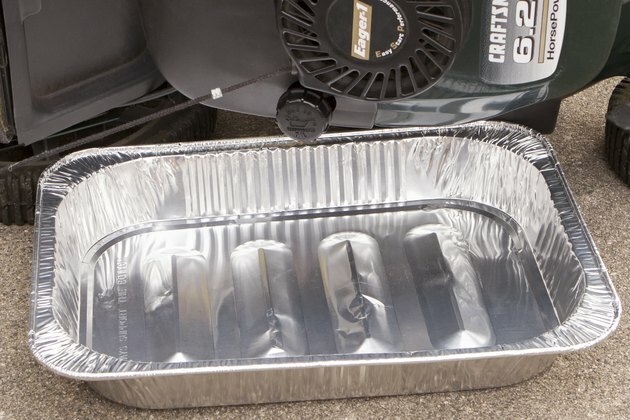 Drain the oil by tilting the Craftsman mower over the drain pan. 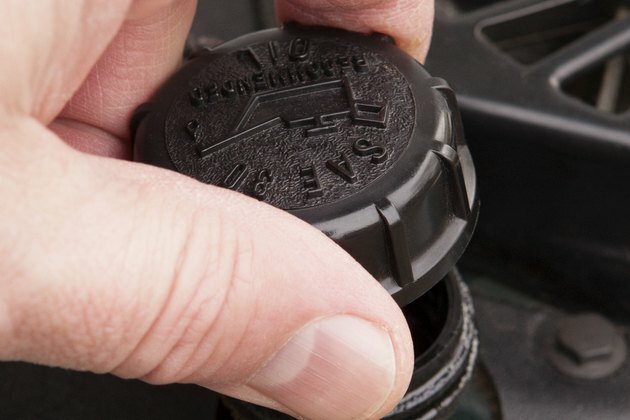 Replace the drain plug, and fill the engine with fresh motor oil via the filler cap. Check the oil level, and replace the filler cap.